to order in advance and have items available for pick up at our Gathering. So far it is just the T-Shirts but who knows what the future can bring. 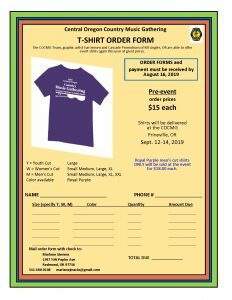 Please take a look at the color image and then download and print the order form. We hope you enjoy this new order process and find it convienent.